Blank blends opulence and edge on the Private Practice jacket, which boasts a draped silhouette and faux-leather details. 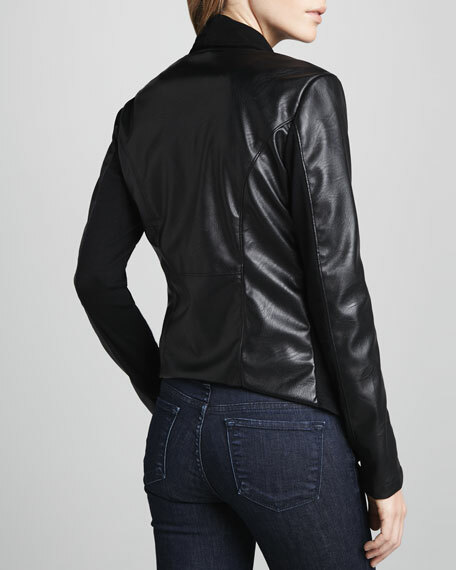 Ponte with faux-leather back and sleeves. 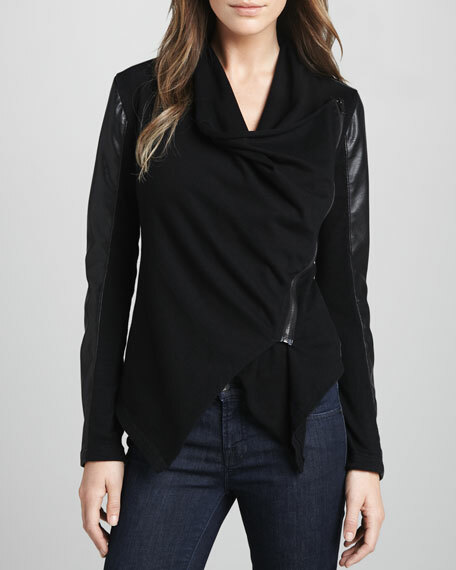 Draped front; asymmetric front zip. [BLANKNYC] likes their denim stripped down and lean. Like a 70s punk song. Like a minimalist sculpture. Like an essential pair of jeans. Since exploding onto the scene in 2007 with their very first hit, the Studded Skinnie Classique, [BLANKNYC] has been creating obsession-worthy fits, fabrics and design details, season after season. The brand's aggressively modern take on denim embraces DIY style, individuality, and a little youthful rebellion.